Google My Business has just added a new attribute that Google My Businesses can add to the list of attributes. 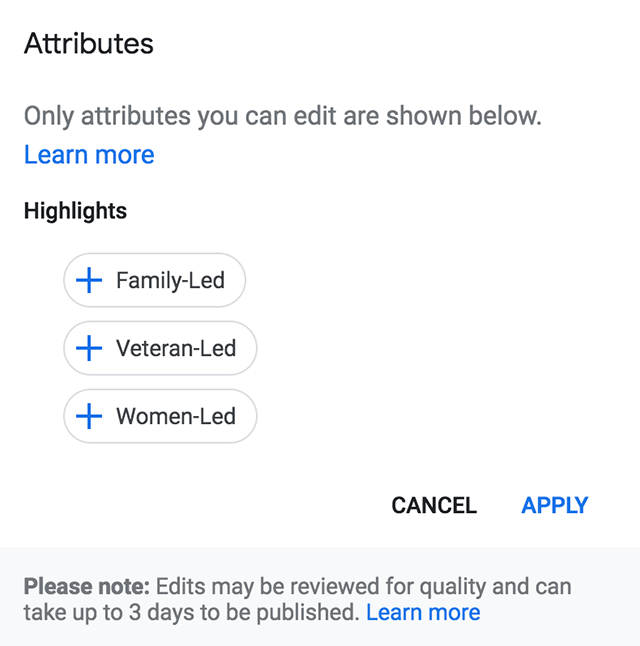 The new attribute is for "family led" businesses, and this adds on to the women led and veteran led attributes that are already available. To active the icon, login to your Google My Business, click on your listing and then click on the "info" tab on the left-hand side. You can then scroll down to the "Add Attributes" section, click on the pencil icon and a new dialog box will pop up letting you click on the "+ Family-led" button to apply it to your business listing. I am also able to see this option.